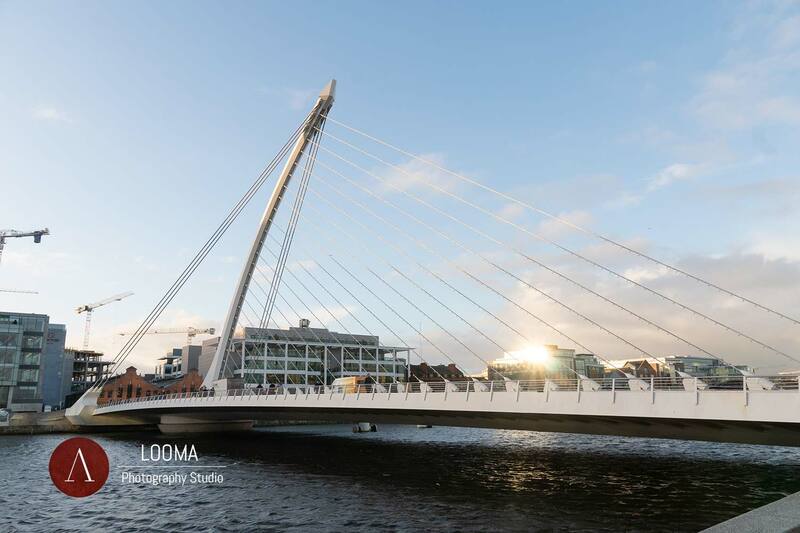 SAMUEL BECKETT BRIDGE is a cable-stayed balanced bridge with two unequal spans which provides vehicular traffic and pedestrians access crossing the Liffey River in Dublin. 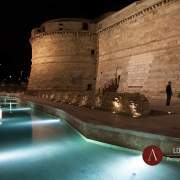 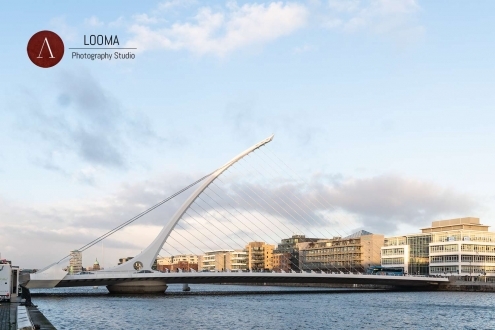 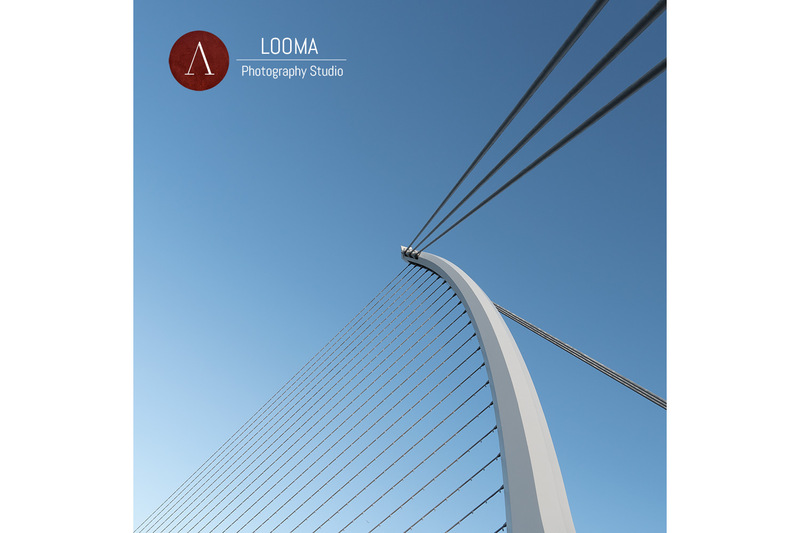 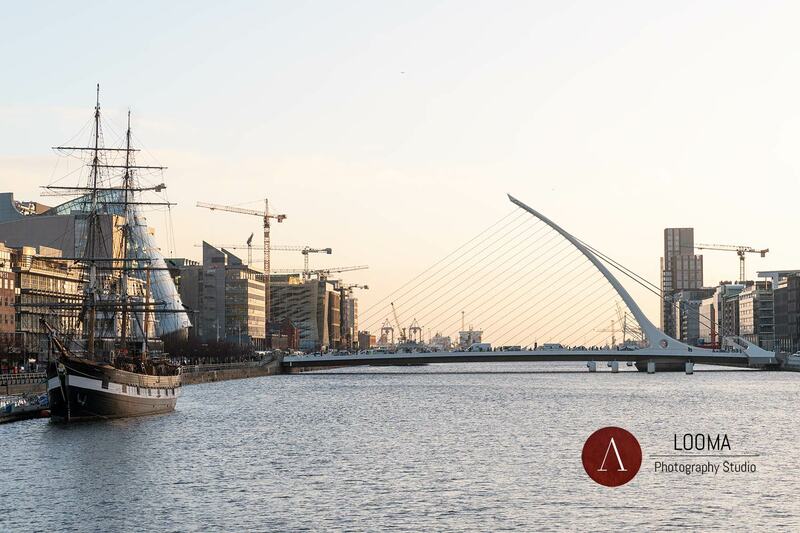 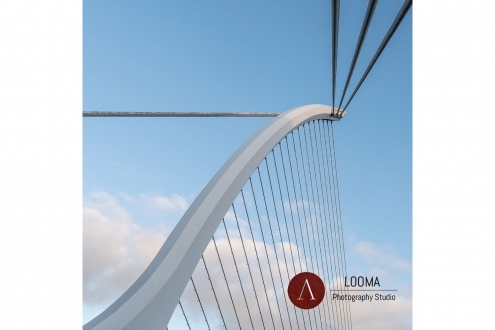 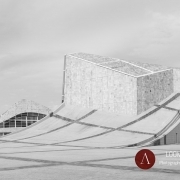 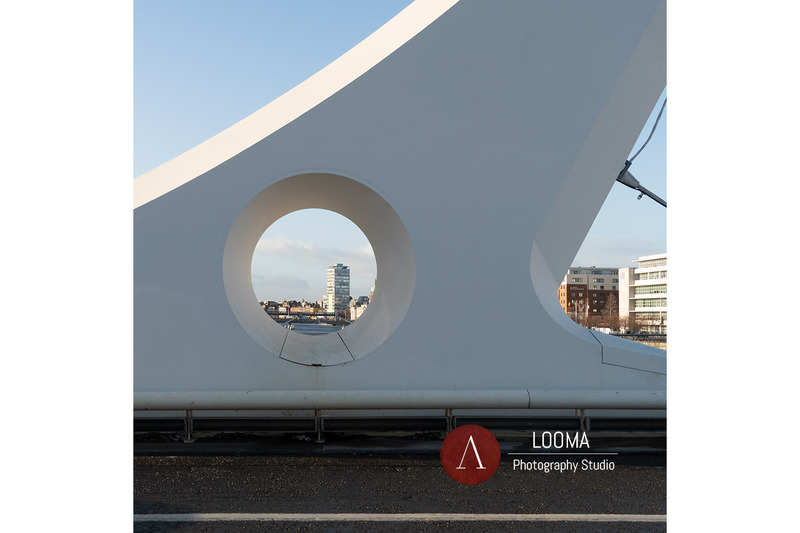 It has been completed in 2009 and it is the second Calatrava’s bridge in Dublin’s area, the first being the James Joyce Bridge (2003) which is further upstream.. 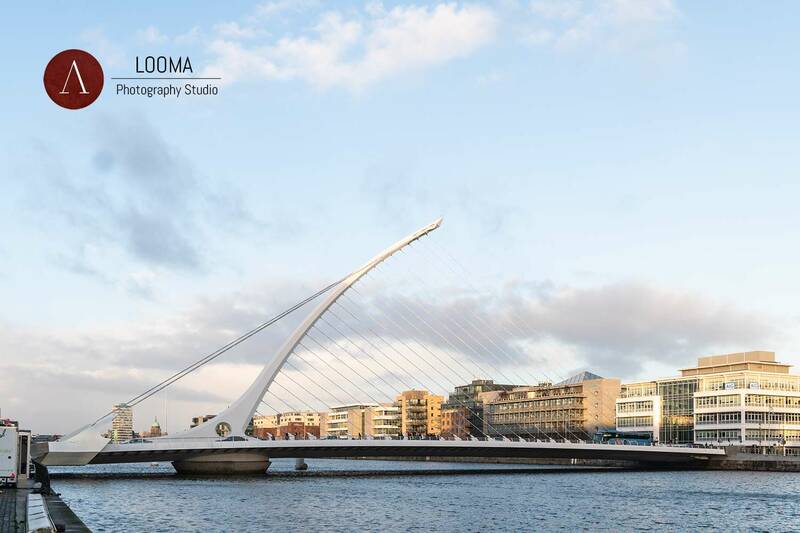 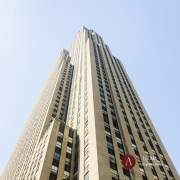 The single inclined curved pylon in the center (tipped at 46 meters of height) in conjunction with its 25+6 stays which run directly from the tower to the deck, evokes the shape of the iconic Irish harp lying on its edge. 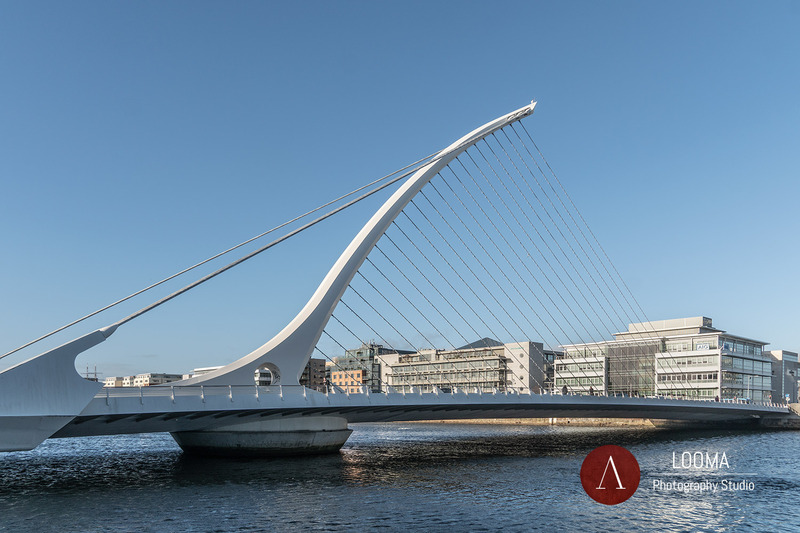 The bridge is 124 meter long and it is also designed to a 90° horizontal rotation to clear the water transport crossing the Liffey River.